I believe in simplicity in most things. 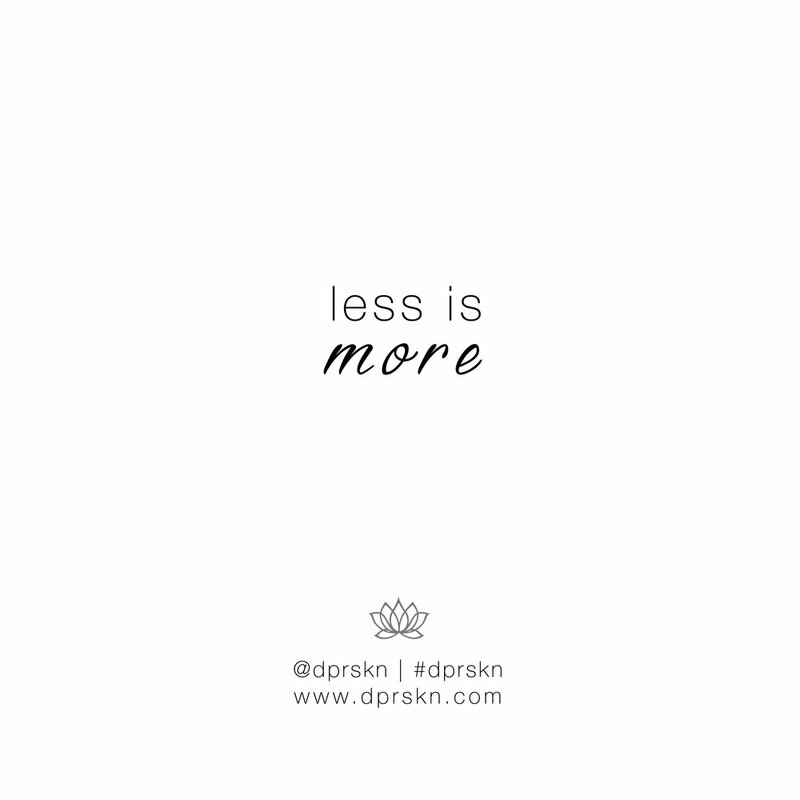 I believe “less is more” is especially important in a skin care and beauty routine. Finding a few good quality products is really all you need to achieve calm, glowing skin. This is one of the reasons why I created the Clay Mask, to help clear your skin without so many steps, upholding quality over quantity. Through DPR SKN I am empowering people to embrace their natural beauty. For me there is something about wearing little to no makeup and having clear skin that really gives me a boost of confidence. I’ve struggled with breakouts and tried so many products to heal my skin, but I learned that using less products and mainly using the Clay Mask, the more calm and clear my skin became. If you didn’t know, I have four sisters, who in my opinion, are the most beautiful people. They are the original DPR SKN muses and embody the idea that less is more. Unlike me, they were blessed with clear complexions. They never wear makeup and when they get a pimple, they don’t pick at it, they just spot treat the blemished area with the Clay Mask and magically it disappears. The idea that less is more doesn’t necessarily mean being a minimalist. I think it means being grateful for what you have and where you’re at. It is listening to your body and doing what is right for you without worrying about what others will think, or beating yourself up for not pushing yourself more. “Less is more” is a gradual process of embracing yourself and feeling comfortable and confident in your own skin.